Like Abraham of old, I am on a journey into the unknown. And like Abraham the unknown isn’t completely unknown. It’s that I am only now truly grappling with what I have known all along. Let me explain. The New Covenant Book of Hebrews states: “By faith Abraham obeyed when he was called to go out to a place that he was to receive as an inheritance. And he went out, not knowing where he was going” (Hebrews 11:8). This is in spite of the fact that the Land of Canaan, as the Land of Israel was then called, was clearly his intended destination (see Bereshit/Genesis 11:31; 12:5). He knew exactly where he was going geographically, but he didn’t know what going there would fully mean. Even though God gave him some inkling of purpose in that this would result in blessing for himself and the world (see Bereshit/Genesis 12:1-3), he was clueless as to the actual details and their implications. Thankfully the unknowns didn’t prevent him from fulfilling his call. He knew enough to trust God for the things he didn’t know. It’s like that with friends. This week’s Haftarah reading (excerpt from the Prophets that accompanies the weekly Torah portion), includes the remarkable statement that Abraham was God’s friend. In all of Scripture, Abraham is the only individual to be called such (see also 2 Chronicles 20:7; James 2:23). Real friends are comfortable in each other’s presence. They don’t require full disclosure and don’t suspect ulterior motives or hidden agendas. Abraham trusted God; God entrusted himself to Abraham. 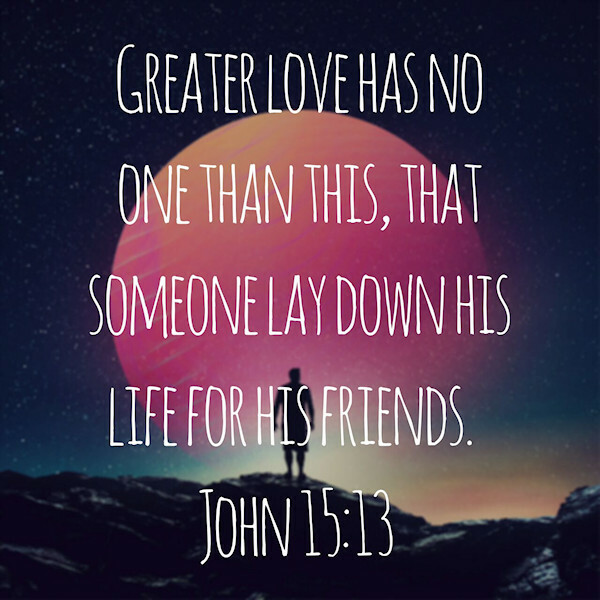 The Hebrew word for friend in this passage is “ahav,” which is the word for “love.” Similar to English, ahav has a very broad range of usage, denoting affection or desire. At the most basic level to love someone or something is to give ourselves to that person or thing. It is context that determines love’s nature and intent. For God to call Abraham his beloved or friend is to is to speak of giving himself and his resources to Abraham. This pronouncement bridges the unique relationship of Abraham to you and me via Yeshua’s original friendship circle. The intimate, loving relationship with God experienced by Abraham is available to any and all who trust in Yeshua as Messiah, which finally brings us back to my journey into the known unknown. From the early beginnings of my coming to know God through Yeshua many years ago, I have been aware of the centrality of love in any genuine relationship to God. Perhaps it was due to my perception that many believers overstated or sentimentalized God’s love, or more likely it was my personal woundedness that prevented me from opening my heart to him as I ought. Whatever the cause, I am finally realizing that in spite of my passion for biblical truth, I have been paying lip service to this most essential of all biblical realities. While I have been aware of the importance of God’s love, I have resisted allowing myself to embrace it or more accurately be embraced by it, until now. I normally like to have things figured out, to know what’s going on, to be in control. What I really didn’t understand, however, was how much of a barrier all this is to fully experiencing God’s love. I am so glad that the basis of our friendship is not my psychology and behavior, but rather that Yeshua “loved me and gave himself for me” (Galatians 2:20). What a friend! and I just wanted to say amen… this has been and is still one of the biggest hurdles for me that i KNOW is stopping me from truly experiencing so much more with Abba. whether it is because of past hurts or present fears, let’s press on… it is worth it!